Covers up to 2000 sq. ft. 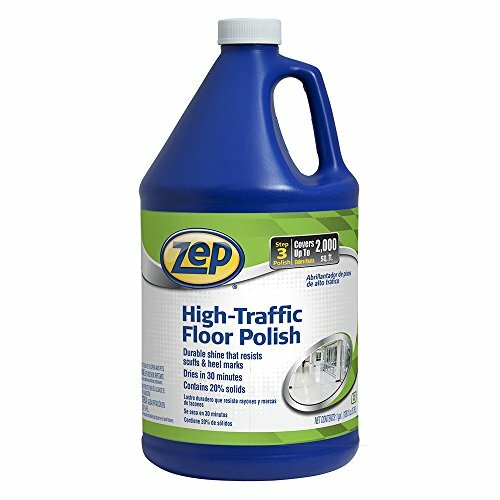 Details: Zep High Traffic Floor Polish gives you a professional grade floor finish for vinyl and other hard floor surfaces. Its 20% solid formula allows for a durable, high-gloss shine even as it prevents scuff marks. ZEP High Traffic Floor Polish is perfect for high traffic environments and works on multiple floor types.